Sloane Ranger: A commonplace term in 1980s London refers to a stereotype of young, upper class or upper middle class women. Often shortened to Sloane or even Sloanie, it was originally popularised by British writer Peter York and co-writer Ann Barr in The Official Sloane Ranger Handbook. I spotted this Sloane Ranger case I'd like to get for my Samsung Galaxy in Swoozie's today. They also have cute bags I'd consider for Stella. I thought the name was just a spin on The Lone Ranger until I tried searching for their website and came across its genesis. So...I'm thinking anchors for me and whales or scotty dogs for Stella. 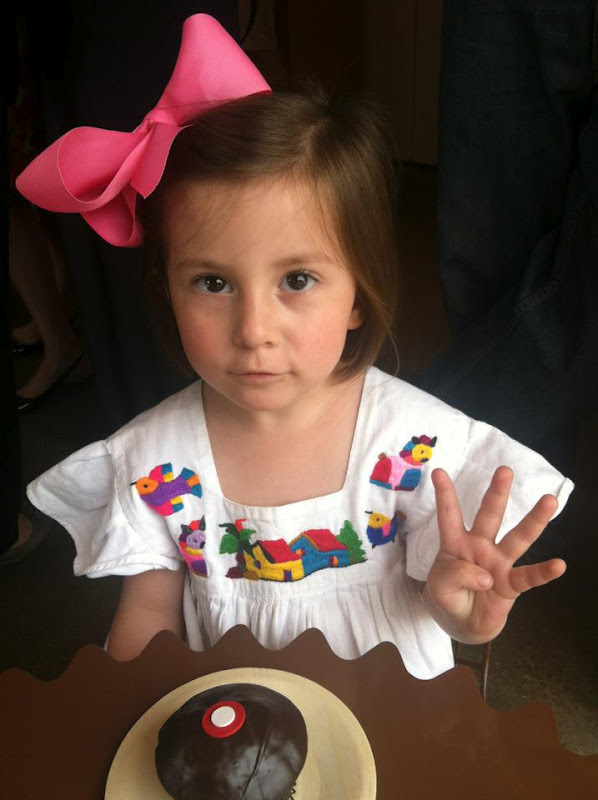 Oh, and my little Stella Bella turned four today. As soon as I can, I'll post pictures from her birthday party, which we held during the Kentucky Derby. It was loads of fun complete with a pink pony! Here she is posing with one of her presents, a suitcase and matching backpack, looking like such a big girl.